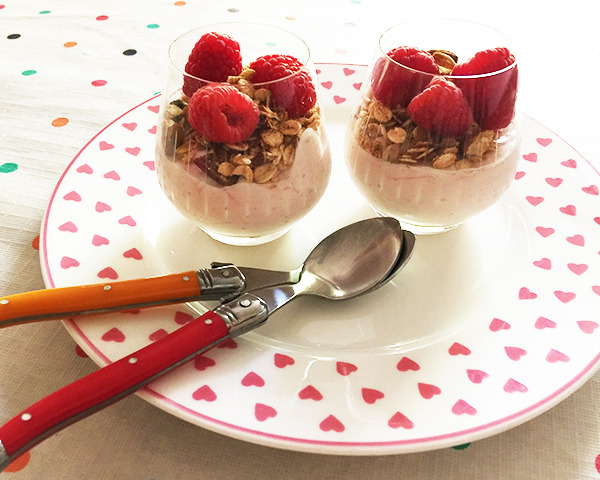 These special breakfast parfaits are a breeze to whip up AND the fruit and yoghurt means they’re a little bit healthy too! Not only that, they’re very delicious and you can switch up the fruit variety to suit your gang. Why not make them a day ahead and have a perfect Valentine’s Day sorted for your beloved bunch? Step 1. 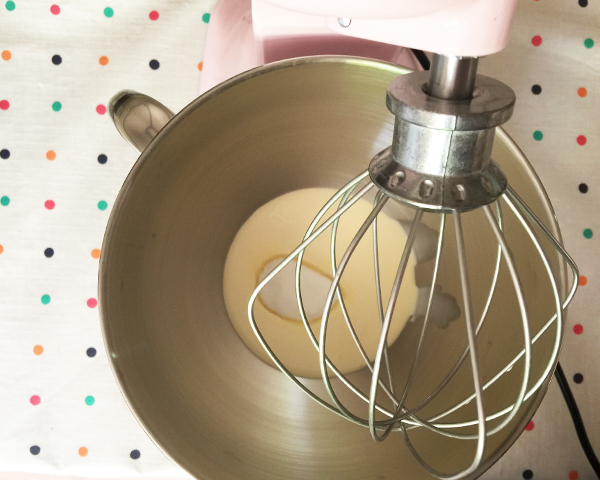 Whip the cream with the sugar and vanilla until thick and soft creamy peaks are forming. It should be a similar texture to the yoghurt when it’s done. Step 2. 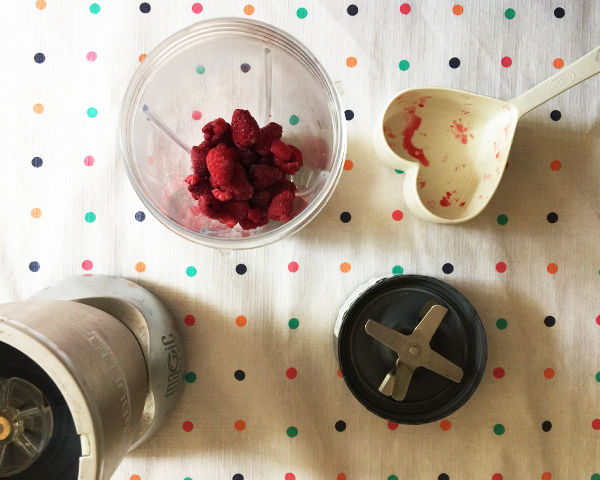 Whiz the raspberries and tablespoon of water in a food processor or bullet mixer until smooth. Step 3. 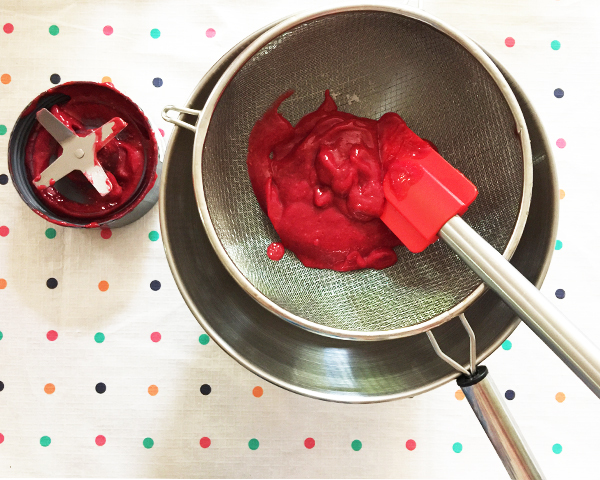 Pass the raspberry puree through a sieve – into a large-ish bowl – to eliminate the seeds. Step 4. 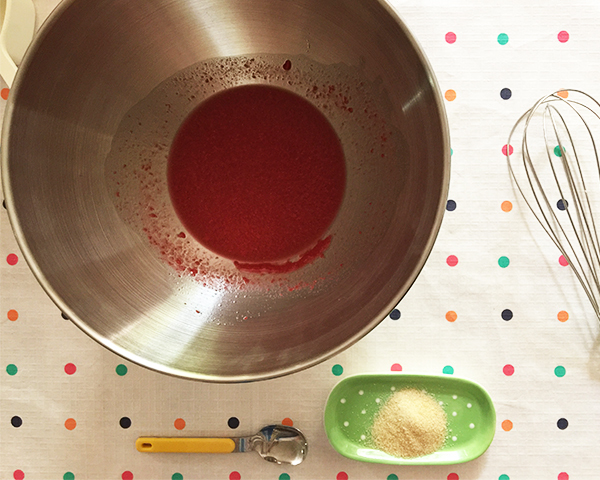 Do the next bit fast to avoid lumps: Add the boiling water to the sieved raspberry puree and then very speedily whisk in the gelatine powder. Step 5. 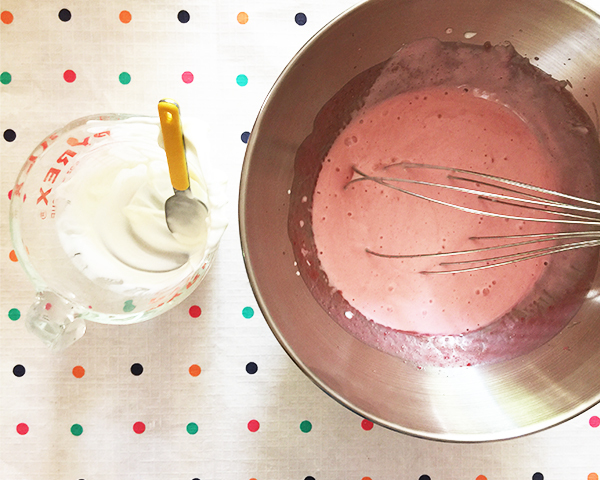 Whisk in the yoghurt until completely combined. Step 6. Fold in the whipped cream. Step 7. 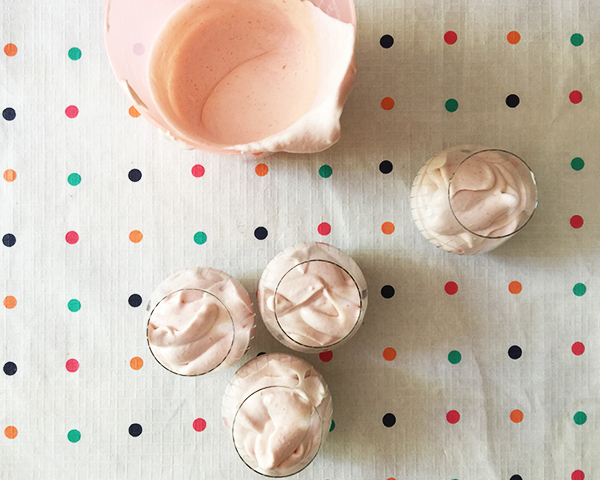 Pop into a jug and pour into little glasses. You can spoon it in instead, if you prefer. Refrigerate for at least 2 hours – until set. Step 8. 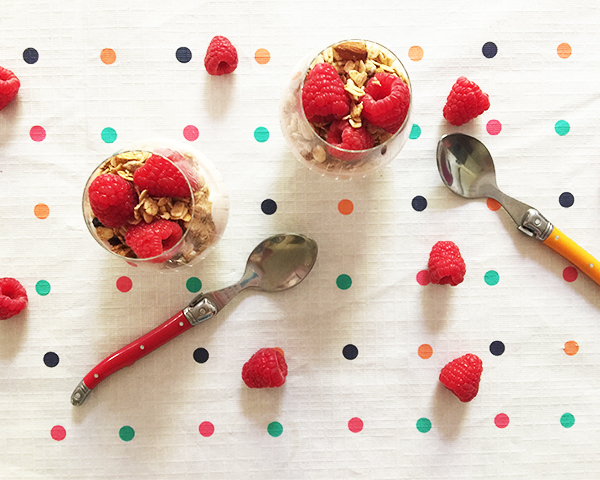 When you’re ready to serve, top with muesli and fresh fruit. 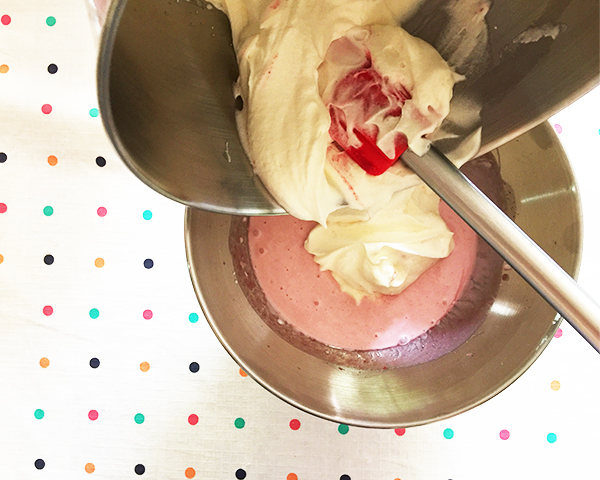 Pop a spoon in. And gobble up! Variations: Use a different sort of fruit – mango perhaps? 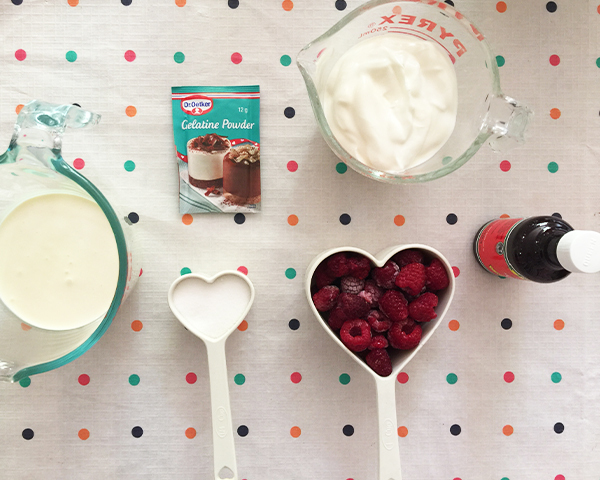 Double the raspberries for a more intense flavour. Top with coconut and/or white chocolate. 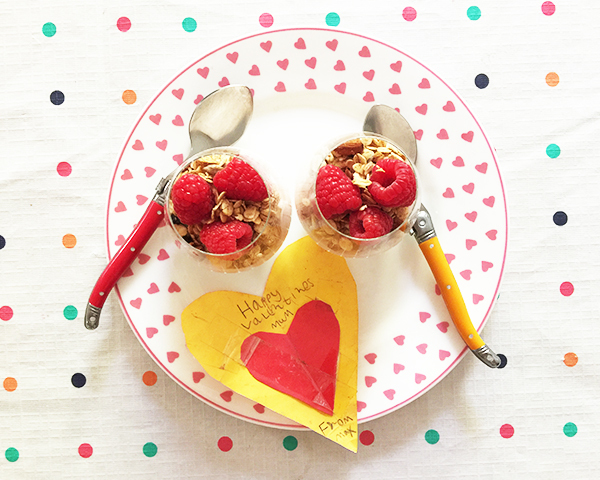 Make these in small containers and send off to school with your kids.